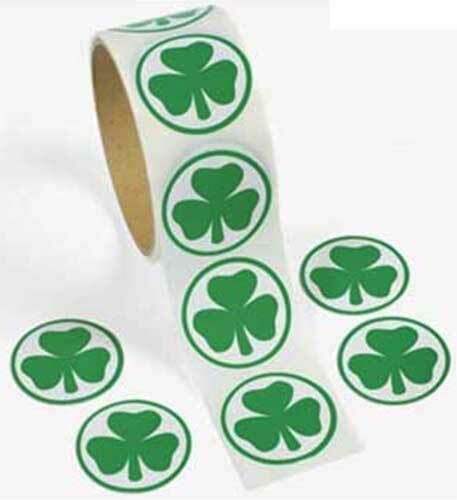 These shamrock stickers, from The Irish Gift House come, on a roll of 100. The green and white shamrock decals measure 1 1/2" diameter and are fun decorations for greeting cards and lunch sacks. You may even want to share the shamrock stickers on St. Patrick's Day.